Finding the right Niche to start a new blog is tough. Today I’m going to give you a list of Micro Niche Ideas that you can review and test to see if they work for you. To get a basic overview of how to choose a Niche, check out the video below before you start reading my post. Now that you have checked out the video, I hope you understand a bit more about how to go about picking the right Niche. Pick something you are passionate about. It needs to make money. 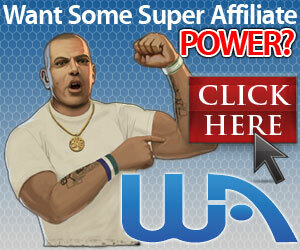 You can generate low competition traffic. So let’s break these points down further. Thinking about what you love will always help. Imagine going for a Niche that you think generates a ton of money. All well and good, but what are you going to write about consistently? Picking something you are passionate about will help. The reason for this is that if you love it, chances are you will consistently write about it. Just picking any old Niche will probably result in you losing interest over time. As it says in the video, not all niche markets make money so make sure yours can. You might think you have found something that makes loads of money, but if there is loads of competition or you need a lot of traffic to your website you will probably struggle. Make sure you can generate traffic with low competition keywords. For example, if you went for something like Web Hosting you might just struggle. With the points outlined above, you can start thinking about your Niche. I don’t know your passion, I don’t know what you love, so I can’t tell you what Niche you should use. What I am going to do is outline the top Niche markets, but give you some Micro Niches ideas within that market that should be able to make money and generate decent traffic through the right keyword research by you. For example, if you are passionate about Camping, that Niche is huge. So a Micro Niche might be something like Pop-Up Tents – I hope this makes sense. So, lets get started with the categories. As I said, I will outline the main Niche and then drill down to the Micro Niche – maybe theres one in there for you. As you probably already know, the Fitness industry is huge and just keeps on growing. But the good thing about being huge means there are opportunities. I don’t mean going out and trying to compete with the big boys with high competition keywords. What I mean is that with it being such a big field, there are huge opportunities to find low competitive, good traffic niches within this field. Who doesn’t want to get fit or lose weight right! And there are always new ways and ideas in doing this. Here is a list of micro niche ideas within the Fitness market. Fitness Tech – Apps, GPS, Trackers etc. Like the fitness niche, the weight loss market is huge and there is a lot of scope for low competitive niche ideas. The only watch out here is to be careful what you promote – I believe there are a lot of scams out there because people are desperate to lose weight and some of them are taken for a ride. If you are going down this route, please make sure what you do is offering value and don’t rip people off. Smoothies for Weight Loss – a lot of traffic for this one. Yes, a lot of people travel and they all have needs. Anything from transport to luggage – there’s plenty of options in this niche and I have seen some very successful sites. Backpacking Holidays – on a budget, family, cheap, best. Beach Weddings – Venues, Packages, ideas, decorations etc. Oh this is such a big and varied Niche and unbelievably popular. This list for this can be so varied, very popular yet with low competition. Check out some of these great ideas. Quilting – patterns, templates, frames, fabrics. Sewing – patterns, machines, beginners. Wood Carving – power tools, beginners, tips. Beer Making – kits, supplies. The world is waking up to being Green, sustainable energy and generally recycling what we can. So this happens to be a very up and coming niche that will only grow by popularity every year. A very competitive Niche, but there are avenues into this with low competition as you can see with the ideas below. Very popular, everyone wants to do it. Mainly because they think they can get rich quickly. This is due to people telling people you can get rich quick. Let me say this now – You can’t Get Rich Quick Online – it’s hard work like everything else. That being said, if you are prepared to work hard, there are opportunities out there to build a business over time. Everyone goes mad for pets don’t they. That’s why it is a very big niche. But like everything else, there are loads of opportunities. Dog Safety – vest, collar, harness. Worm Farming – good for recycling. Fish Pond Supplies – liners, pumps. Another big one. So much choice again with this niche. Lots of competition in some areas but if you do you research wisely you can find some great ideas believe me. People get married all the time right. There is plenty to find in this niche and a lot of it is very low in competition. check these out. You might notice that there is a lot of ideas around cheap weddings. Have a look for yourself – there is loads of traffic for this with low competition. The wedding niche could be a very good one if done correctly and it’s evergreen. I hope this post was of some use to you. I know there are other huge niche markets out there like Home & Decor, Fashion etc. The aim here was to show you that it is really possible to be competitive in some of the highly competitive markets as long as you do the research. As ever, if you want to learn more and understand Affiliate Marketing in greater detail why not give Wealthy Affiliate a try. It’s completely FREE to start with no pressure to pay a single dime if you don’t want to. Oh! and you get 2 free websites and access to the first phase of the great training. If you have any comments or questions then please feel free to leave them below and I will get back to you as soon as I can. Hello. This is a good article. In picking up a niche for a new blog, I think the most important factor is picking a subject you love and enjoy talking about. Since a blog is a long term commitment, if the subject of your blog is not one you’re passionate about,you may end up losing interest in the blog, rendering all previous efforts useless. This really hits the point and I recommend it for all who are looking to start up a blog. The toughest part for me when I started blogging, was finding the perfect niche. I needed something profitable which I was equally passionate about. You’ve really listed a health list micro niches, however I didn’t see any in the sports bracket. As a sport person, I also think there are very profitable micro niches as well in sports, and you can practically say the same about everything in life. It just needs the right amount of passion to pull through during the rainy days. Thanks for sharing, great read! Hi Louis, thanks for the great comments and feedback. You are absolutely right, I didn’t talk about any sports in this article. I did consider it but as I had already mentioned some running Niche’s I decided not to bother. I had considered things like soccer drills etc. As you say, you can pretty much pull a niche from anything if you have the passion. Thank you for this, I enjoyed the article but I would like to know about the fashion niche and the micro niches therein. I am passionate about fashion niche. I will love to sell clothings in my website but I don’t know if I can sell both male and female clothings in the same website. If it is possible to do so please I will love to know and hear from you. Thanks in anticipation. Hi Kenechi, thanks for the comments. As I said at the start of the post, I don’t know peoples passions or love of a Niche so can’t actually state what people would want to see. If Fashion is your passion then you need to start finding those micro niche ideas through a keyword tool like Jaaxy. And so on – however, I don’t know what part of fashion you are interested in, so as I said, you need to do your research. I have joined in the wealthy affiliate network and purchased a premium domain. I was planning to start my niche site and I found your article is very helpful for me. I am going to choose one of your listed topics. I believe that many people also find their helpful niche choice from your article. I am going to share this important and informative article with others also. Thank you for writing this helpful content. Hi, thanks for your kind comments. I’m glad the post was of use to you. If you ever need any help or support please feel free to get in touch – I’m always happy to help. Finding your niche, and making money on line,is a vast area, as there are several billion potential customers. As a Wealthy Affiliate member,I have found that there is wonderful help available, training,support,and guidance, in building your website, and choosing your niche. I have chosen woodwork for my niche, which covers all types of items, such as furniture, building joinery,clocks, and toys, and is not a minor niche. Keywords are vital, to getting your website, a high classification on google, and Jaaxy can guide you in this regard. Jaaxy guides you through lists of keywords showing which are the most attractive, and give you a high rating on search engines. Really this is an amazing article. I like this article very much. I am a new affiliate member. One of my friends suggested me that i should start my niche site but i wasn’t proper learned about this.So,in this regard i was looking for a guideline.After reading your article i have found the best guideline in this purpose and i have gained all the details that how should i find the right niche.I have choose the hobbies niche from your listed topics.This article is very helpful for those people who are trying to start a niche site as you have highlighted the article so nicely.I will share this article with my friends and relatives so that they can be benefited from this. Hi, thanks for your kind comments. I am really pleased that post could help you find some direction with your niche. As I said at the beginning of the post, it does help if you are passionate about your niche. The first 20 to 30 posts written about a niche you just pick are fairly easy. The reason for doing something that you love is that you will still be writing posts into the 100’s. It’s always worth considering this when you choose a niche. Thank you for offering the share with friends, it’s much appreciated. You can also check out some of my posts on keyword research which I think you will find helpful.